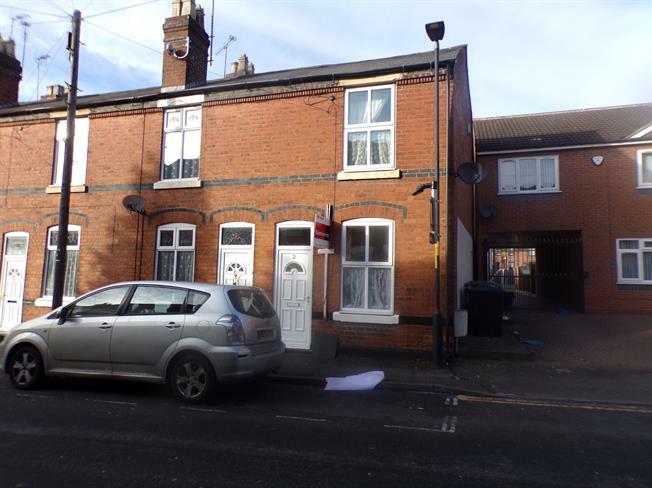 3 Bedroom Terraced House For Sale in Walsall for Offers Over £135,000. Internal viewing is essential of this deceptive end of terrace situated on Hart Walsall. The accommodation in brief comprises of through lounge, ground floor shower room, inner hall with staircase to first floor, fitted dining kitchen and ground floor shower room. On the first floor are three bedrooms, the property benefits from double glazing and central heating. Outside low maintenance rear garden with shared access. Double glazed window to rear, double glazed door to side, a range of wall mounted cupboards and base units, work surface incorporating sink and drainer unit, hob, oven and extractor.